Our team welcomes you! A city full of tradition and history, Béziers is sure to delight you. Take advantage of our city center location to discover the charms of the Bitérois region and the Canal du Midi. 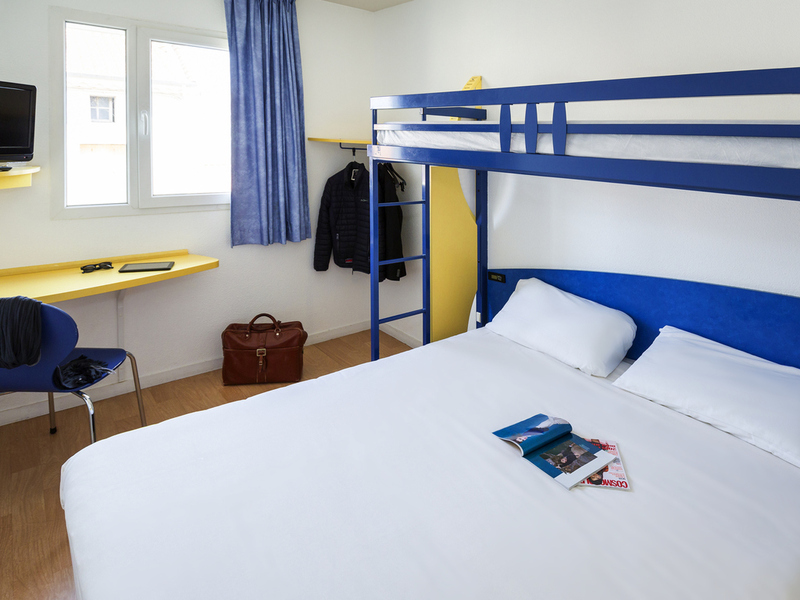 Welcome to the ibis budget Béziers Centre, formerly Etap Hotel, located in the town center just a stone's throw from the old town and next to the conference center. Take a break in rooms for 1, 2 or 3 people at an affordable price. An economy hotel offering rooms with free WIFI. Delicious unlimited buffet breakfast at a great price.